The Biltmore Estate in Asheville, North Carolina is one of the largest privately owned estates in the world. The daily admission fee includes self-guided tours of the Biltmore’s house and gardens, winery, Antler Hill village and farm. Touring the Biltmore House and Gardens can take an entire day although a thorough trip can easily be spread out over several days. The Vanderbilts were one of the oldest and best-known families in America. George Vanderbilt created this 8,000-acre estate as an escape from everyday life. Biltmore is more than a magnificent chateau in a picturesque mountain setting. It is the spirit of the people who envisioned its splendor and then lived, worked, played, and entertained here. The 213-room Inn on Biltmore Estate offers exquisite accommodations, relaxed elegance, luxurious spa services, and fine dining in the breathtaking Blue Ridge Mountains of North Carolina. The Inn has been awarded Four Stars by Forbes Travel Guide, Four Diamonds by AAA, and has been on Condé Nast Traveler's Gold List for seven years running. The Inn at Biltmore is home to spacious, luxurious rooms. Enjoy afternoon tea in the library or relax with a glass of wine on The Rocking Chair Terrace. The Inn has a full-service spa ready to indulge total relaxation. Every guest room includes nightly turndown service with chocolate, in-room movies, high-speed internet, custom robes and slippers and shuttle service around the Biltmore estate. 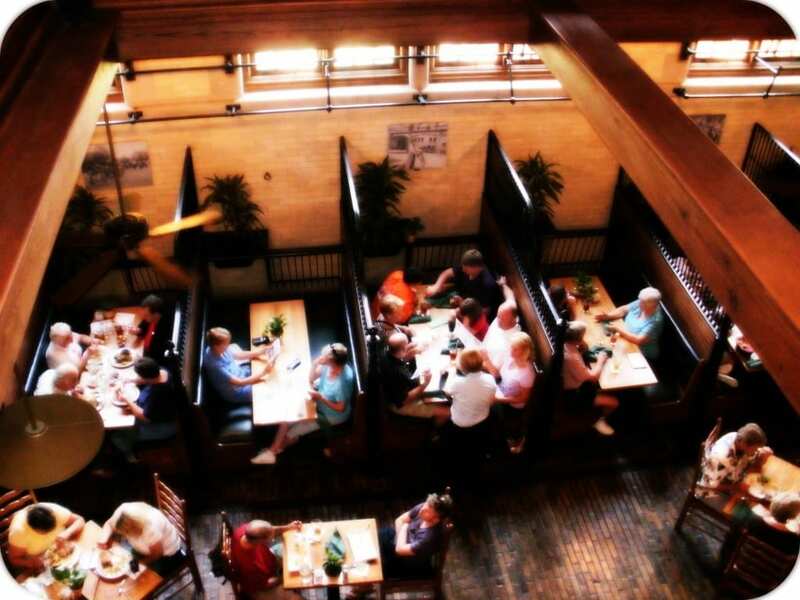 The Stable Cafe offers traditional southern fare and Carolina barbeque. The Stable Cafe is located inside a comfortable restaurant transformed from 19th-century stables and is open daily for lunch. Cedric's is located at the Antler Hill Village and Winery. Cedric's offers tavern fare and is open daily for lunch, dinner and offers late night entertainment. The Bistro is also located in Antler Hill Village. The Bistro's offerings are delicious wood fire pizzas, seafood, steaks, and lamb. 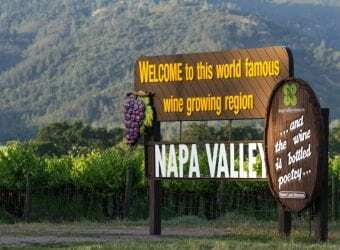 America's Most Visited Winery is comprised of vineyards established in 1971 and is available for guests who simply want to enjoy a wine tasting or learn more about the art of winemaking. Guests can stroll through the historic wine cellars and head to the tasting room where Biltmore hosts are on hand to make sure guests have a memorable wine tasting experience. Upon exiting the winery stop by the Wine Shop to find hard to find wine accessories, gourmet foods and of course, Biltmore wines. There is no shortage of shopping at the Biltmore Estate. There are a wide variety of treats to discover such as sweet treats at the confectionery, toys at the Toymakers or a one of a kind Christmas ornament at the Christmas Past. Antler Hill Village which connects the estate's present and past, provides a relaxing place for dining, shopping, historical exhibits, and new ways to experience Biltmore's hospitality. There are three restaurants, three places for lighter fare and four stores. 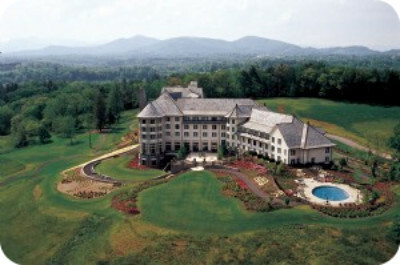 The village's name comes from Antler Hill, the “fine high ridge” where the Inn on Biltmore Estate is located. From the Civil War into the 1930s, the ridge was the site of Antler Hall, a residence and social center for many estate families. A short drive away is the eclectic downtown Asheville area complete with a mix of stores ranging from art galleries to clothing stores and more. Consider the Land Rover Experience Driving School where guests can learn to navigate a Land Rover or Range Rover on a specially mapped out / designed course with a highly trained driver navigating you over broken bridges and over large boulders plus other unbelievable obstacles. We set out on this early morning adventure and it was a surreal experience to say the least. Our guide took us through a brief overview of what to expect and then we set out in our fully equipped Range Rover. Several times throughout the course I was suspended in the air only being held in by my seatbelt while the Range Rover was up on two wheels with one wheel as high as six feet in the air. The Biltmore Estate has lots to offer for fun family adventures, romantic getaways and wine enthusiasts. Whether romance or relaxation is on your mind, you can visit Biltmore by bike, river, horseback and/or carriage. 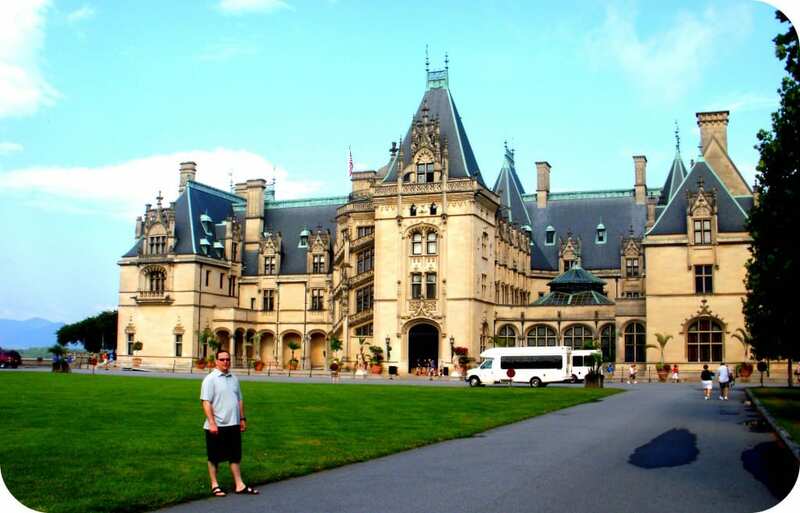 DISCLOSURE: My husband and I were invited to visit the Biltmore Estate and stay at the Inn on Biltmore Estate. I love Biltmore and haven’t been in years. We will definitely stay at the Inn the next time we go. I didn’t even know they had lodging on the property and we have been at least ten times. The Inn was a fabulous discovery on this trip. I never even knew it was there and our stay was wonderful. We haven’t seen Biltmore in years. Thanks for the reminder about this great place!! Time to go back. I live so close (about three hours away) and it had been years since we visited. We discovered so many new things on this trip! Hoping to get to go out there this spring. It looks amazing, thanks for sharing Stacie. Thanks! It really is an amazing place. There is so much to do. What a gorgeous place. Thanks for sharing. Wow, I’ve never been but it looks and sounds like an amazing place! It really is a wonderful place. Even better at Christmas time!!! Wow that looks amazing! I want to go! It’s been years since I’ve been to the Biltmore! It’s absolutely gorgeous and I’d love to go spend a romantic weekend there with my husband! Thanks for sharing all the wonderful perks! I love the Biltmore. I’ve been numerous times. However only recently, after all my visits did I realize they have so much more to do than just tour the mansion. Very fun! The Biltmore really is a great place to visit! Wow! That looks gorgeous! I would like to go there now! The Land Rover course looks like so much fun! The Land Rover Course was AMAZING!!! I was so scared to drive but I had such a great time. Wow! It looks like an amazing place! Can you believe I am from NC and have never been? I will have to make it a priority on my next visit! We are the same way with things here in Atlanta. We don’t visit them. Oh wow that place looks amazing! Wow your video is amazing too, was that taken on the property! Yes. The video was taken on the Land Rover course which is right on the property. I wouldn’t of believed that this is in North American if I hadn’t of read it here. It looks so European. What an amazing place to visit! We took a road trip a few years ago & went by the Biltmore and I begged hubby to go- I am going to show him the range rover video 🙂 It is so gorgeous on the East coast & we love that area of the country!